One of the key challenges for European and global societies is to reach a secure and resilient energy supply with up to 100% share of renewables. To meet this challenge, ERA-Net SES initiates and pushes ahead transnational collaboration on energy system innovation. The platform brings together 30 national and regional funding partners from 23 different countries. Under its focus initiative on Integrated Regional Energy Systems (RegSys), ERA-Net SES is calling for Research, Development and Demonstration (RDD) projects that aim at solutions answering to specific critical needs with a local and/or regional scope. Beyond tackling technical questions and linking the energy and the digital world, research projects should consider market and societal aspects. The total available funding budget is € 33.3 million including European Commission co-fund contribution. 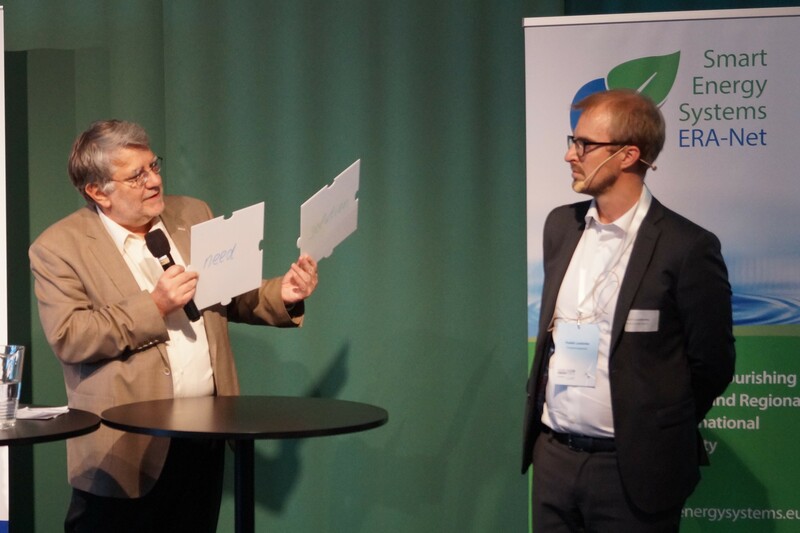 The call was launched during the Nordic Clean Energy Week in Malmö, Sweden. From May 22 to 25, ERA-Net SES has co-hosted a series of events to discuss the latest developments in the fields of smart grids and regional & local energy systems with policy makers as well as international experts from research, industry and regional representations. The call launch was included in the "Speeding-up for change”-event on Wednesday, May 23. During a break-out session, potential applicants met different types of stakeholders expressing the regional perspective and pointing to practical needs for Research, Development and Innovation. Participants matched their ideas with such specific needs and meet potential partners for their projects. Find more information on the call and its funding opportunities here. Find here our press release regarding the call launch.